onion samosa recipe | irani samosa recipe | patti samosa recipe | mini samosa recipe | triangle samosa recipe | samsa recipe with detailed photo and video recipe. basically a deep fried snack prepared with homemade pastry sheets and onion stuffing. 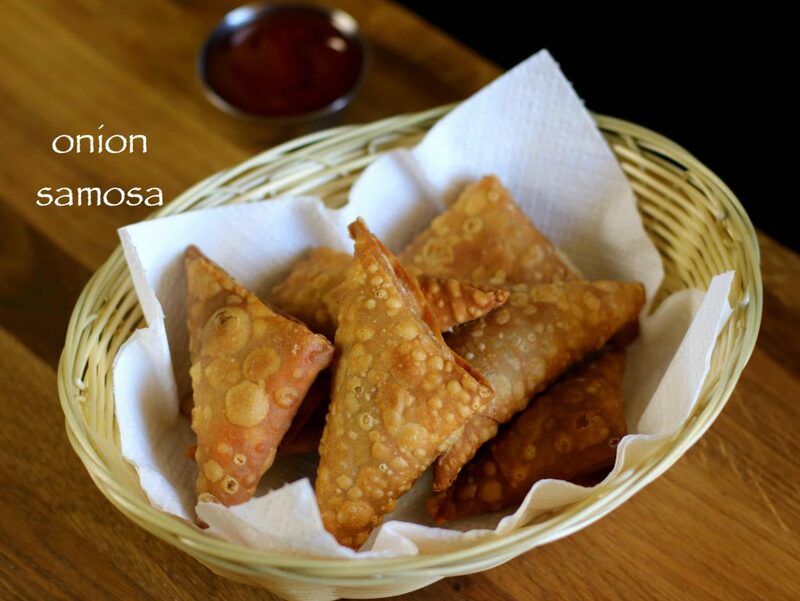 an ideal triangle samosa recipe perfect for kitty party and even for evening snack. 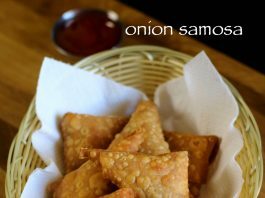 onion samosa recipe | irani samosa recipe | patti samosa recipe with step by step photo and video recipe. perhaps one of the most common crispy samosa recipes easily available in college canteens, railway stations and even in parks. 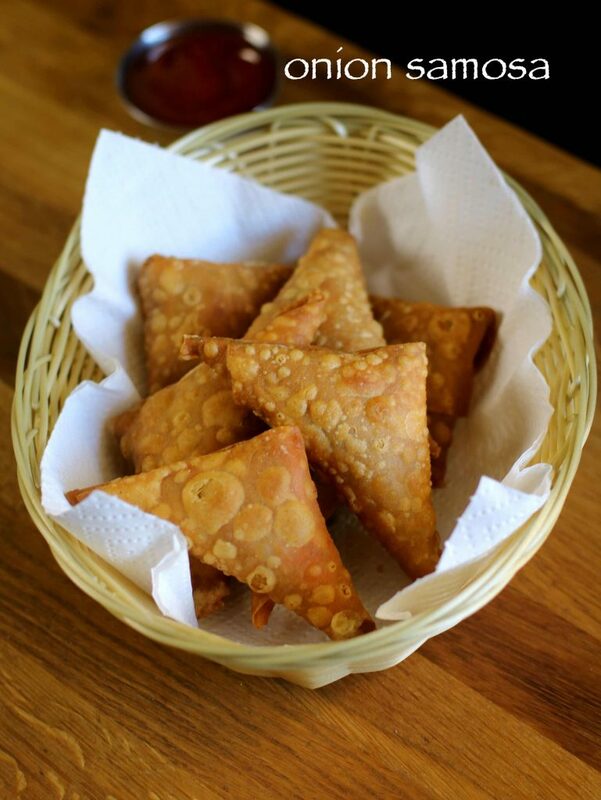 moreover, it is also popularly known as irani samosa recipe / mini samosa recipe / triangle samosa recipe / samsa recipe. it is because it is sold in irani tea shops and irani cafe’s. initially, i though of preparing with the store bought spring roll sheets. however, later i decided to prepare with the homemade pastry sheets. also, the store bought sheets are prepared with corn flour and all purpose flour. whereas, i have prepared the sheets with wheat and all purpose flour, which makes it more healthy compared to pastry sheets. 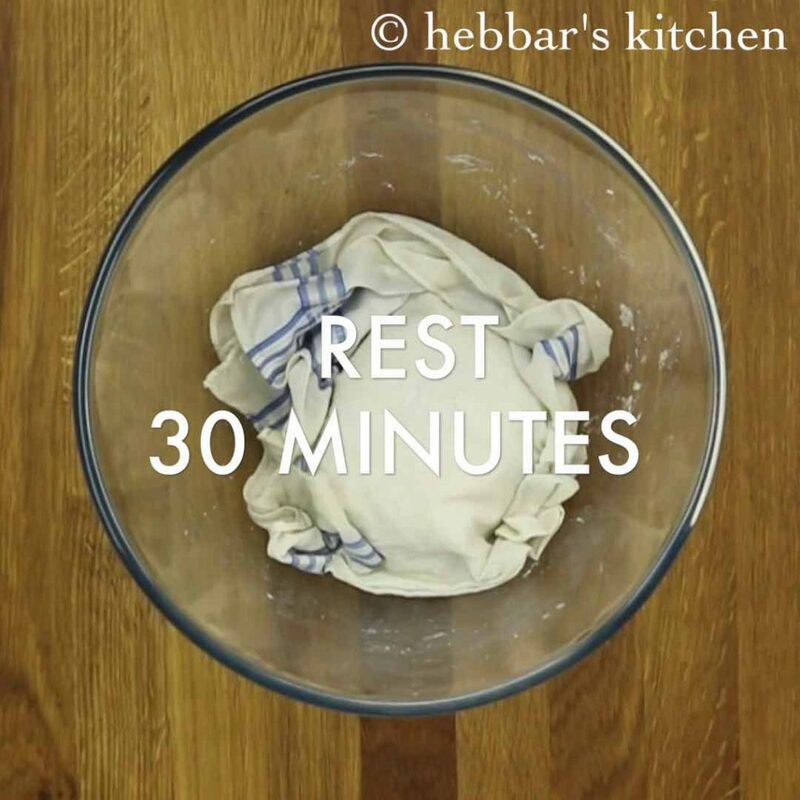 alternatively, the sheets can also be prepared with just all purpose flour. 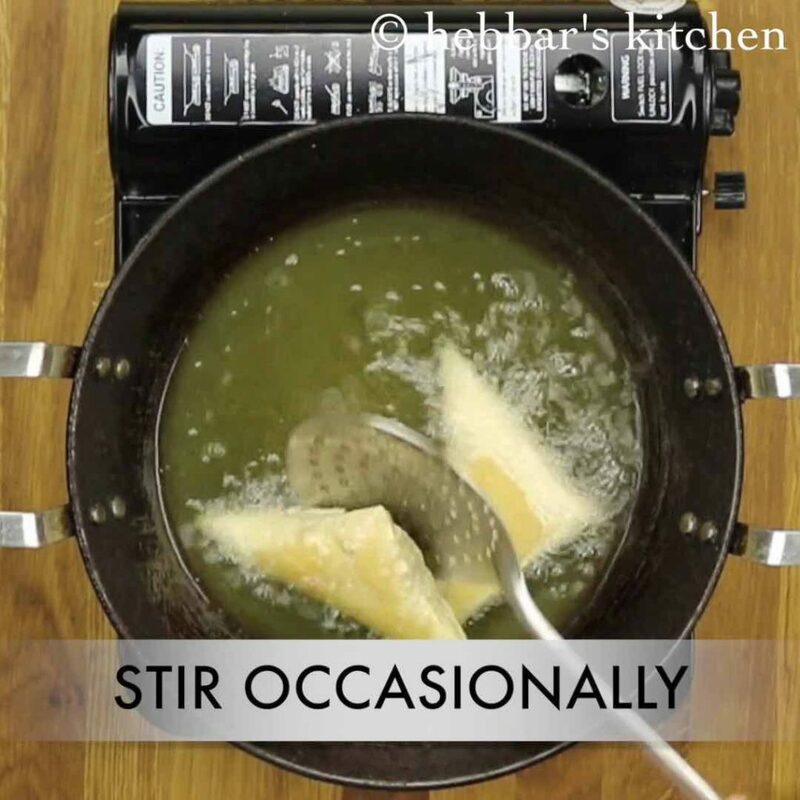 furthermore, some tips and suggestions for a crispy triangle samosa recipe. 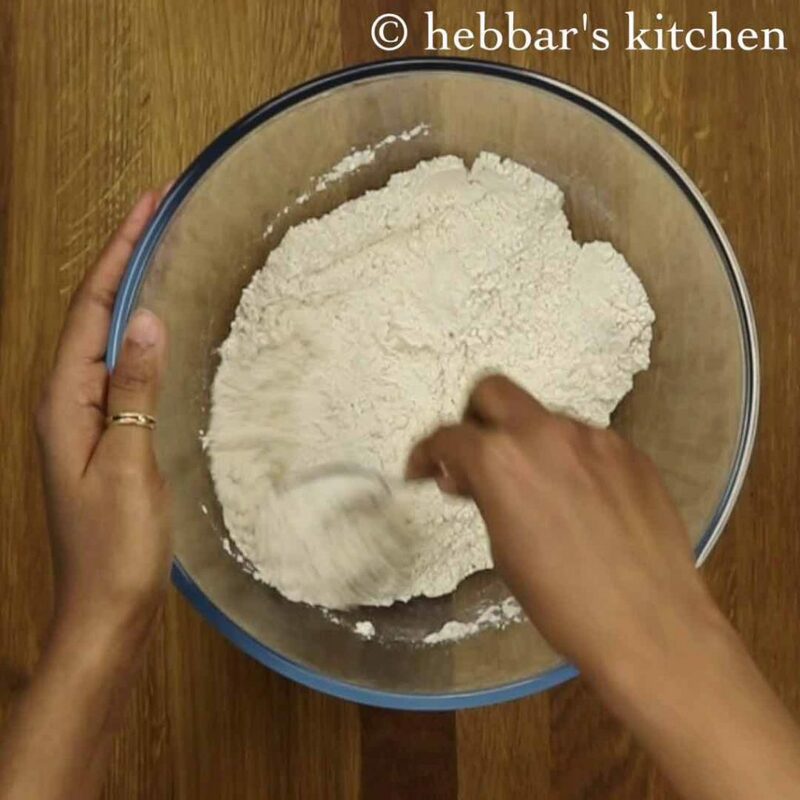 firstly, do not forget to add hot oil or ghee to wheat and all purpose flour before kneading. 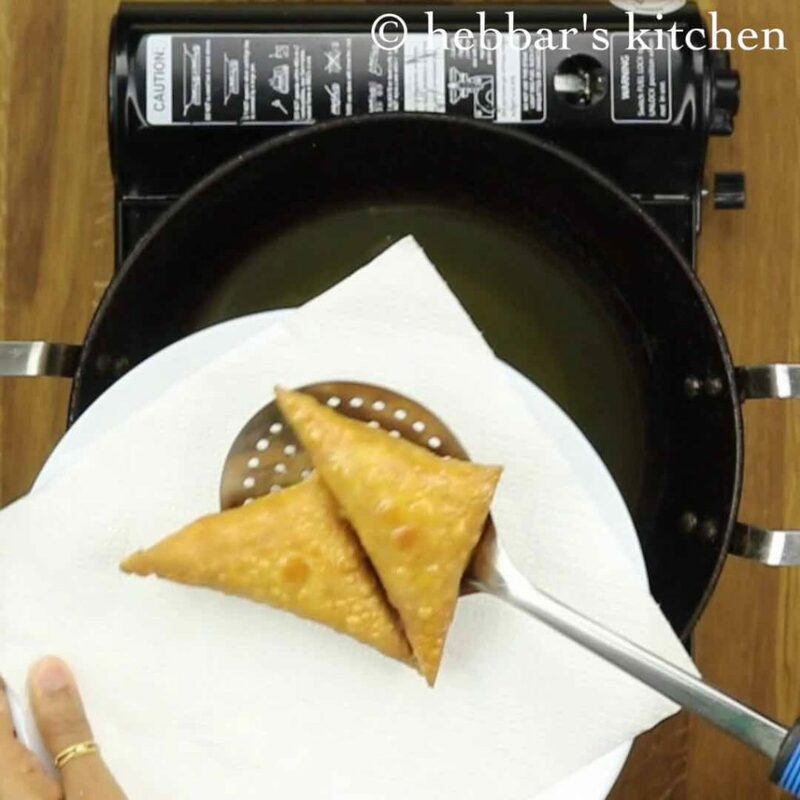 adding hot oil makes the samosa crispy and crunchy. 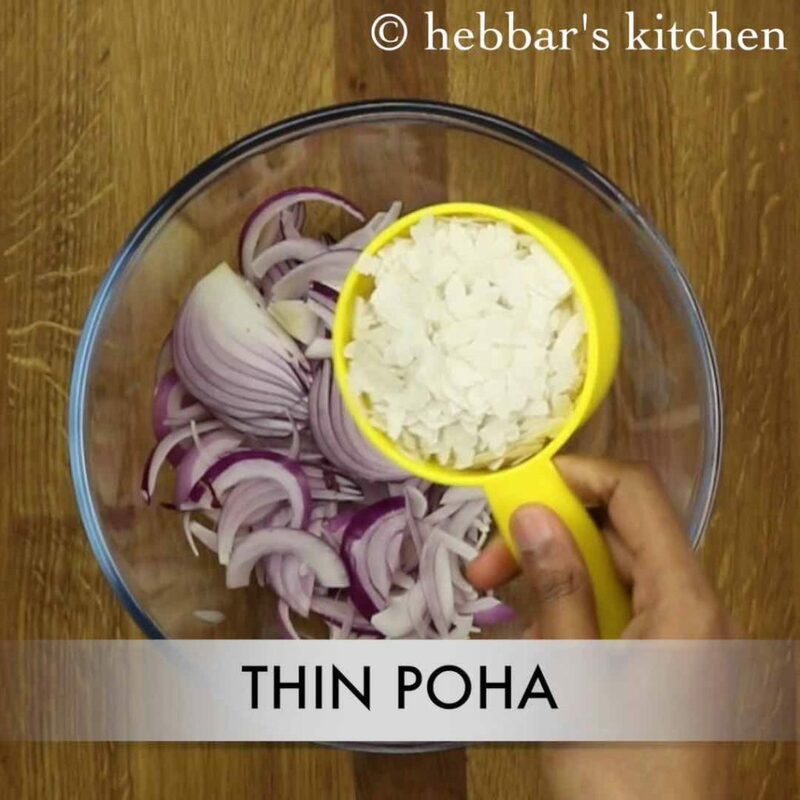 secondly, for samosa stuffing, add thinly sliced onion and thin poha instead of diced onion. 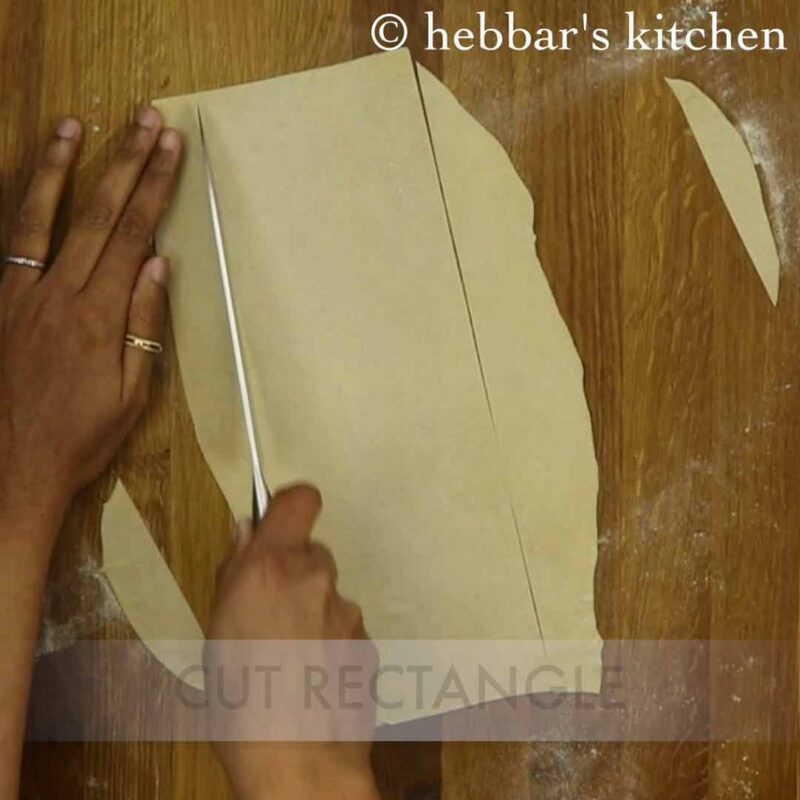 lastly, try to make a long pastry sheet strip while rolling. 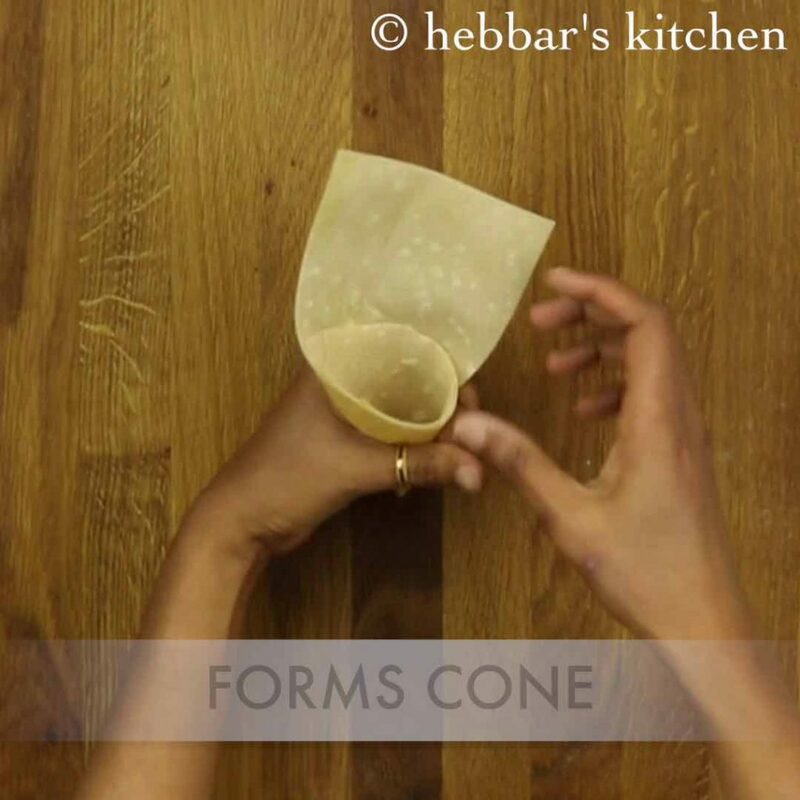 this would help to shape the samosa cone in shape and can easily wrap and seal it with maida paste. 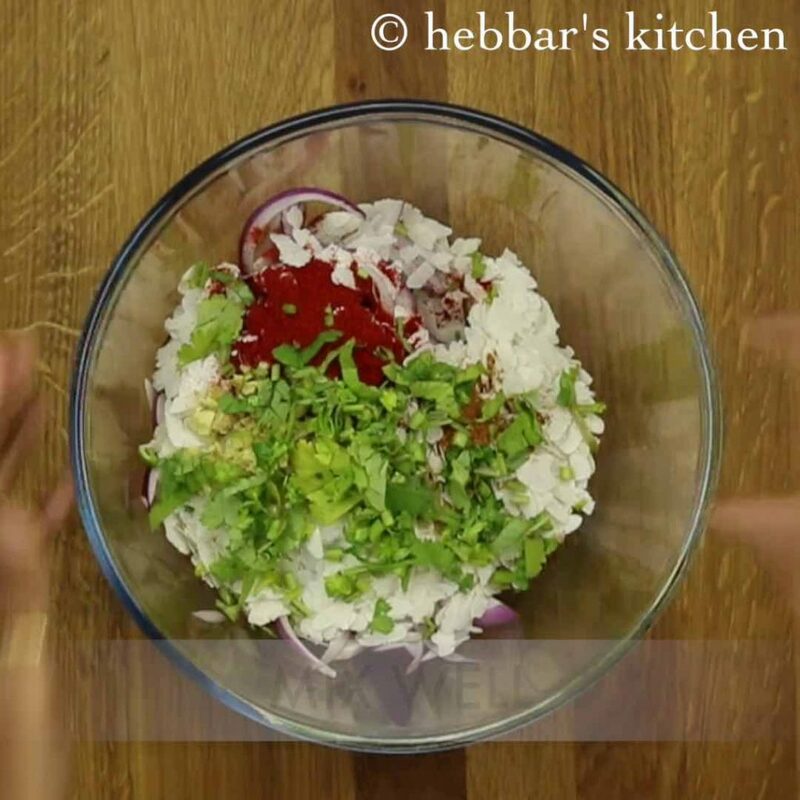 firstly, in a large mixing bowl take sliced onions and poha. then add ginger and coriander leaves. squeeze and mix well and keep aside. firstly take maida and wheat flour. further add pinch of sugar and salt to taste. furthermore knead to smooth dough and rest. 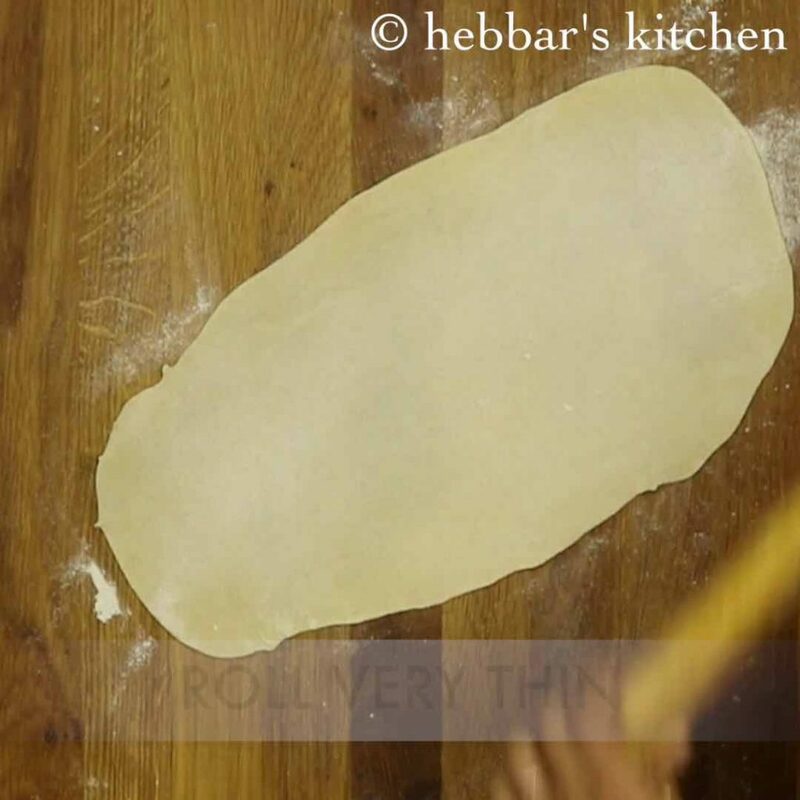 further, start to roll with a rolling pin as thinly as possible. furthemore, cut the sides and get to a perfect rectangle shape. 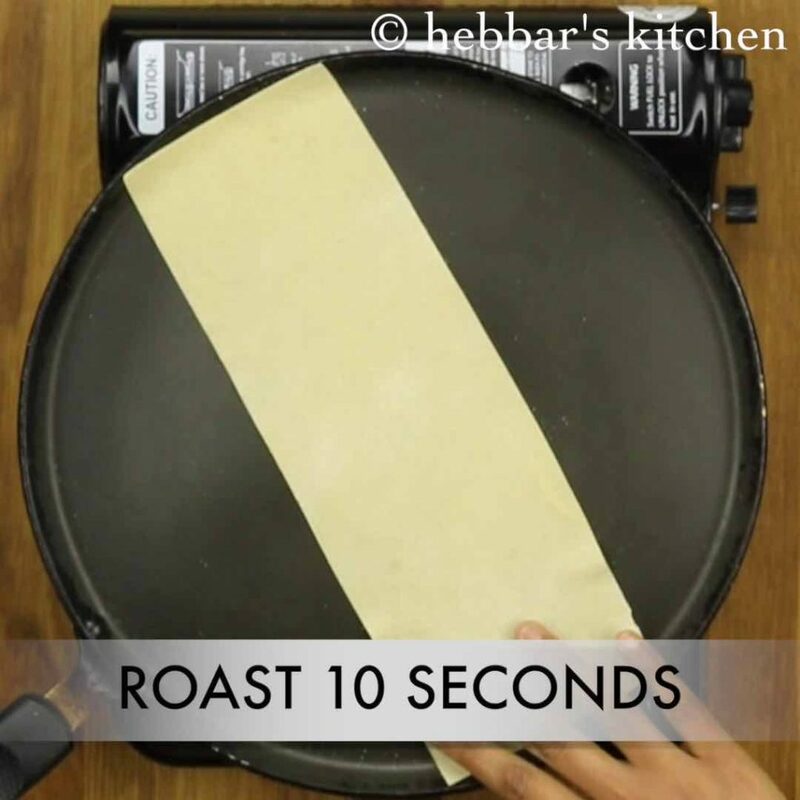 put the sheet on hot tawa and roast for just 10 sec on both sides. 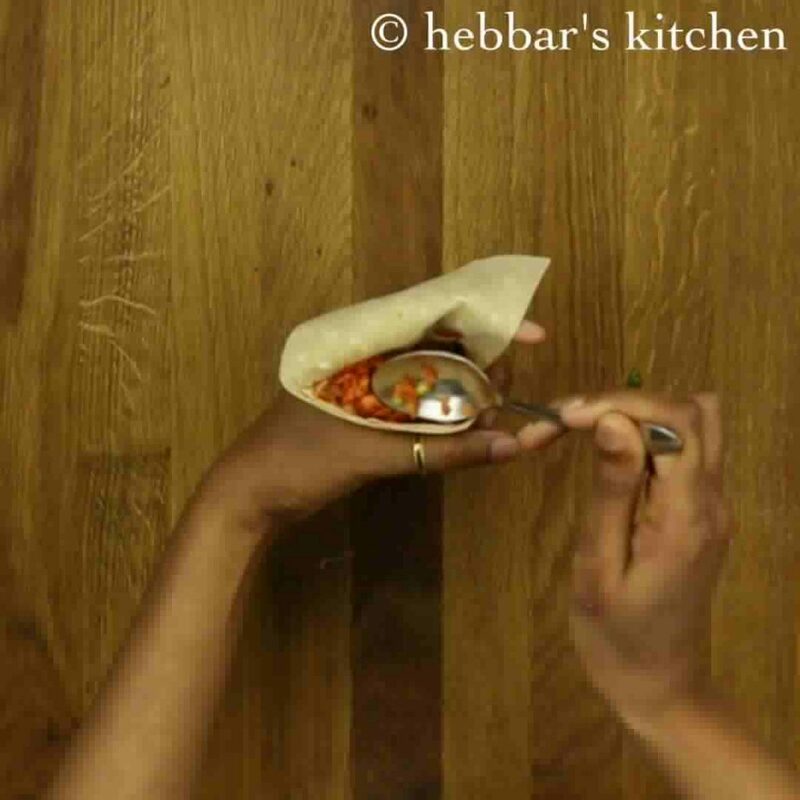 firstly, start folding the samosa sheet into triangle and stuff the stuffing. further, deep fry to golden brown. 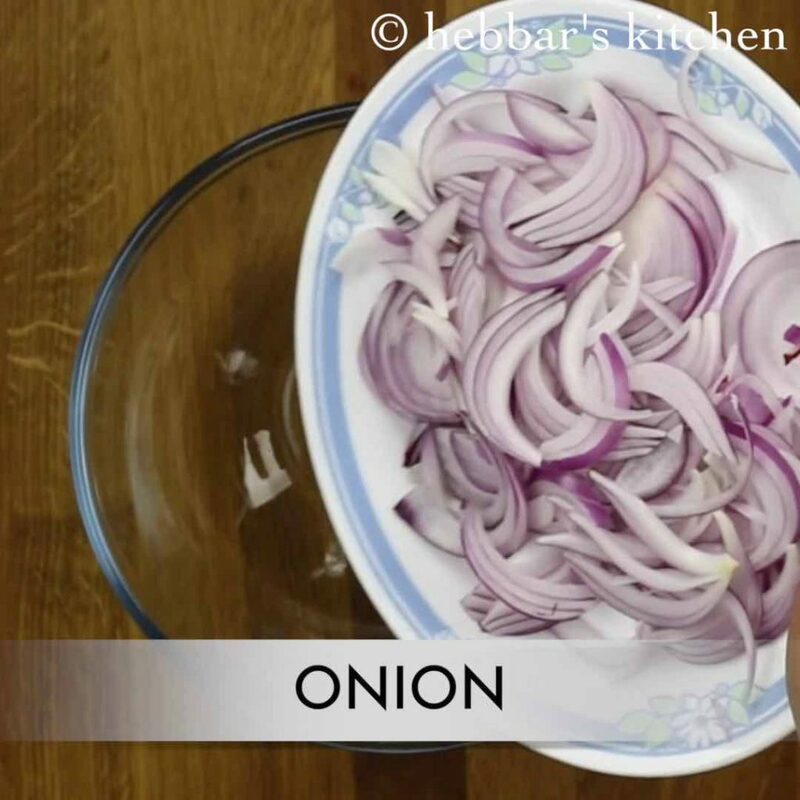 firstly, in a large mixing bowl take sliced onions. furthermore, add poha / thin flattened rice / paper avalakki / beaten rice. its equal proportion of sliced onions. poha helps to absorb moisture and turn samosa crispy. additionally, add finely chopped ginger and coriander leaves. further squeeze and mix well. finally the stuffing is ready. keep aside. 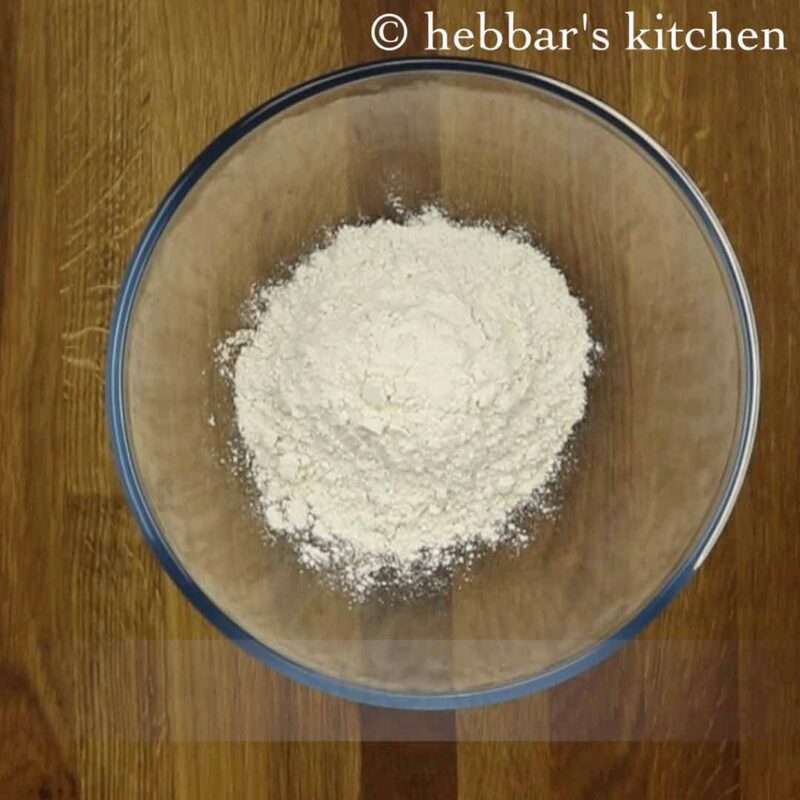 firstly in a large mixing bowl add equal proportion of maida and wheat flour. further add pinch of sugar. 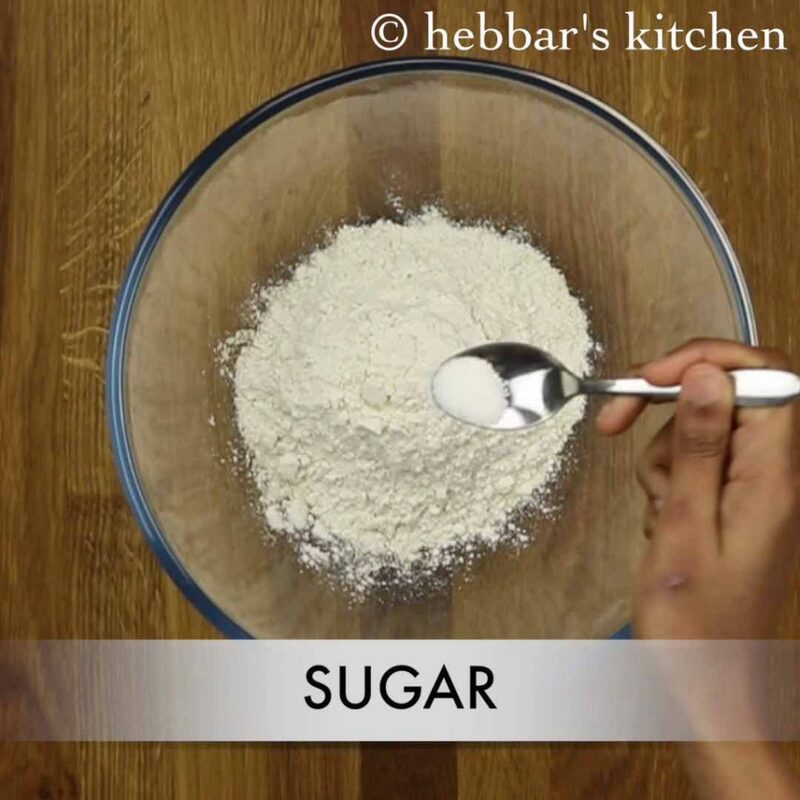 sugar helps to get golden brown colour while frying. mix with a help of spoon. 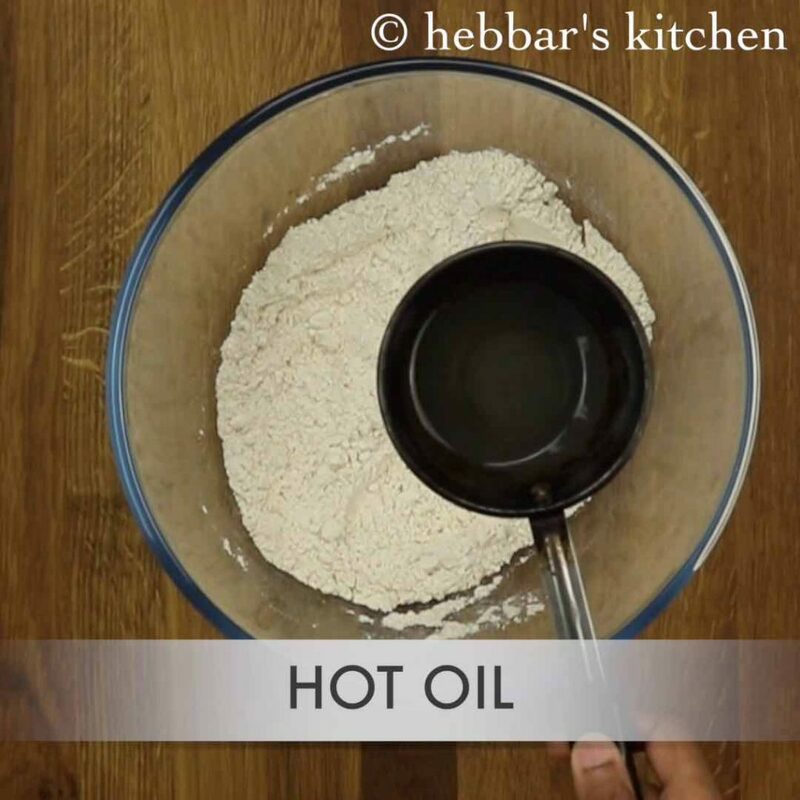 further add 2 tbsp of hot oil over the flour. 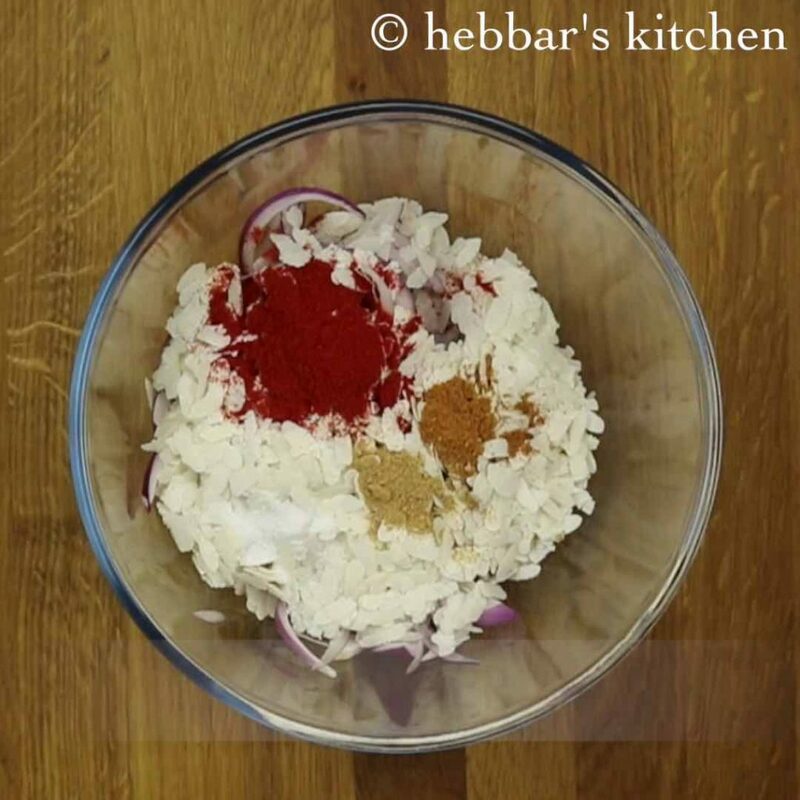 this helps samosa to be crunchy and crispy. 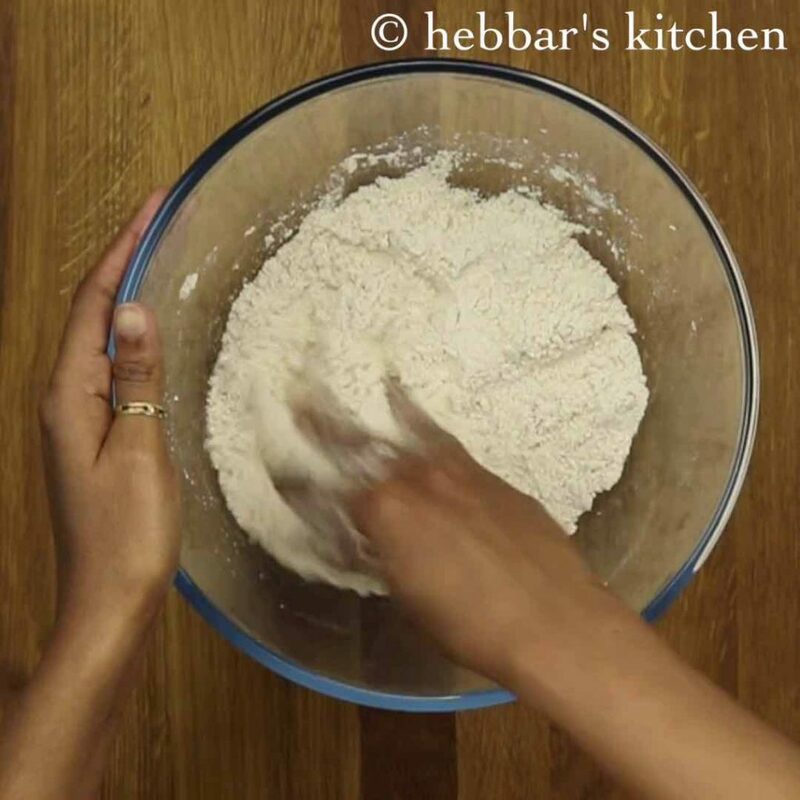 crumble the dough with the help of hand. 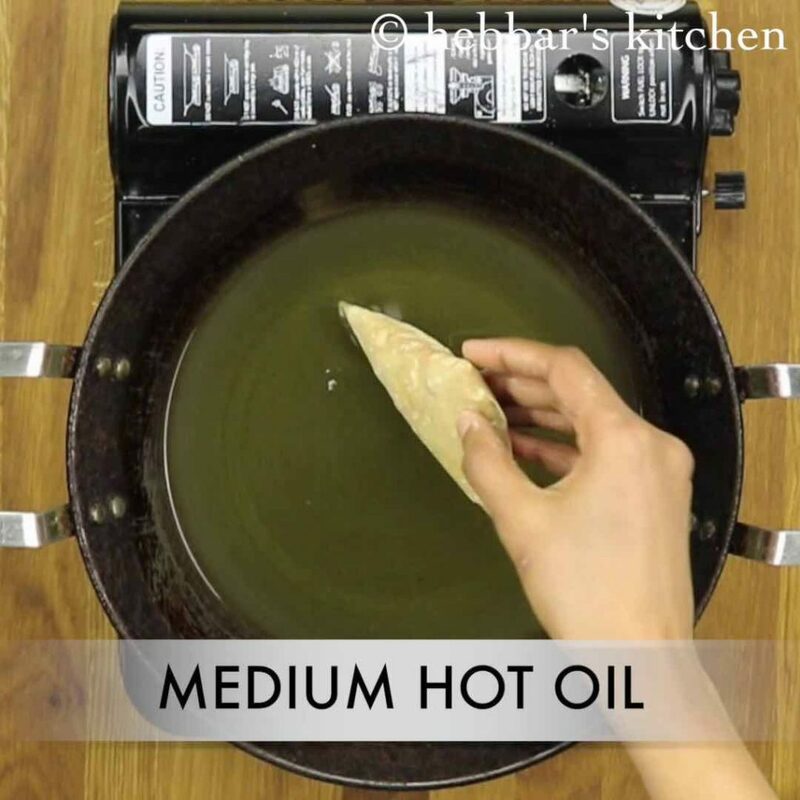 make sure the oil to mix well with flour. 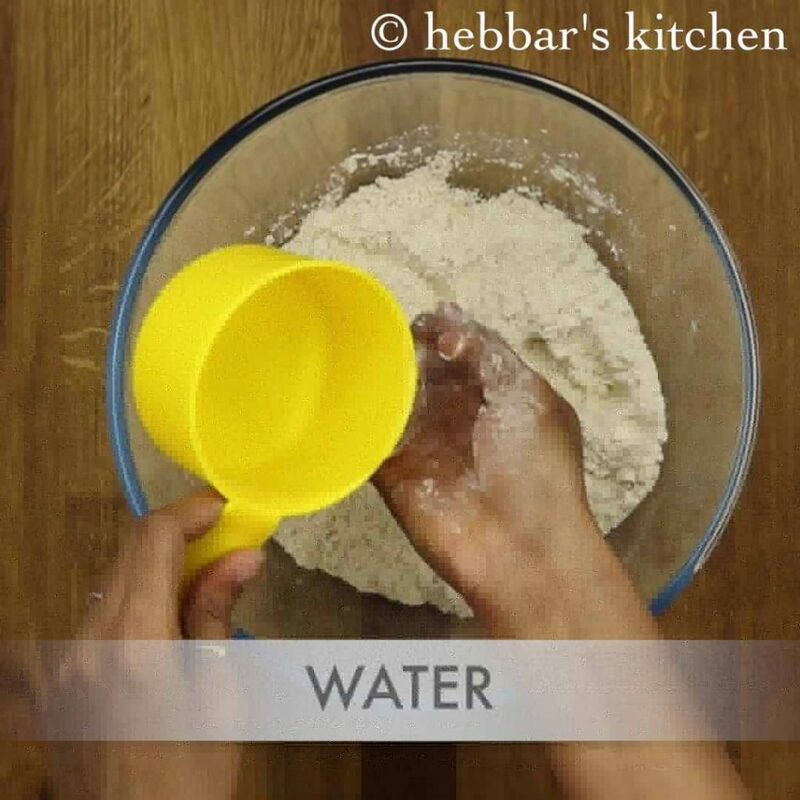 furthermore add water as required, and start to knead. 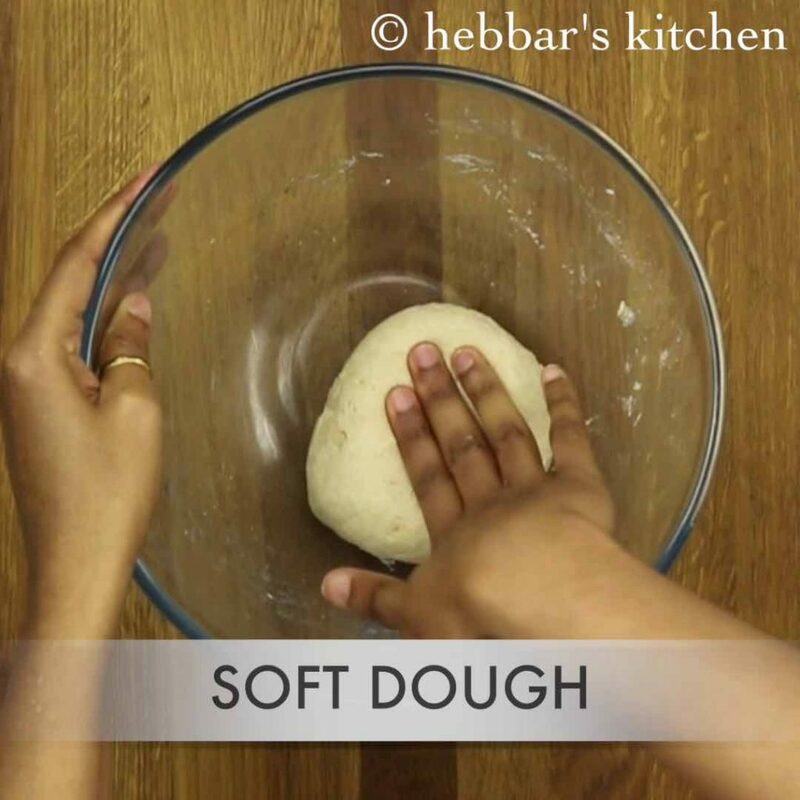 knead to smooth and soft dough like chapathi dough. cover with the moist cloth and rest for atleast 30 minutes. 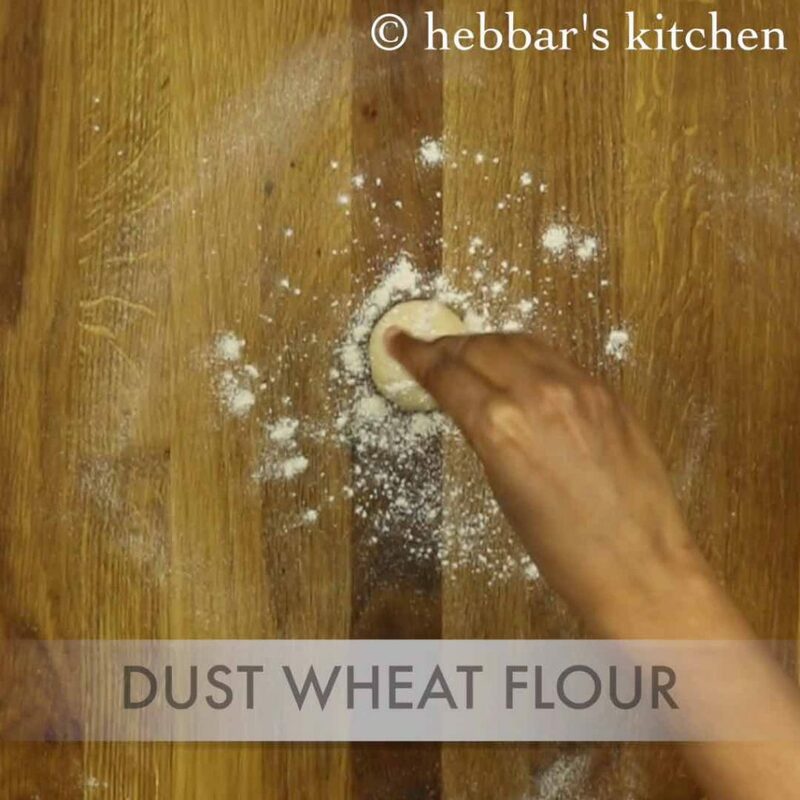 further, pinch a small ball and dust with wheat flour. roll to a rectangle shape. furthemore, cut the sides and get to a perfect rectangle shape sheets. put the sheet on hot tawa and roast for just 10 seconds. roasting more will make sheets crisp and break while folding. additionally, flip over and roast both sides for not more than 10 seconds. 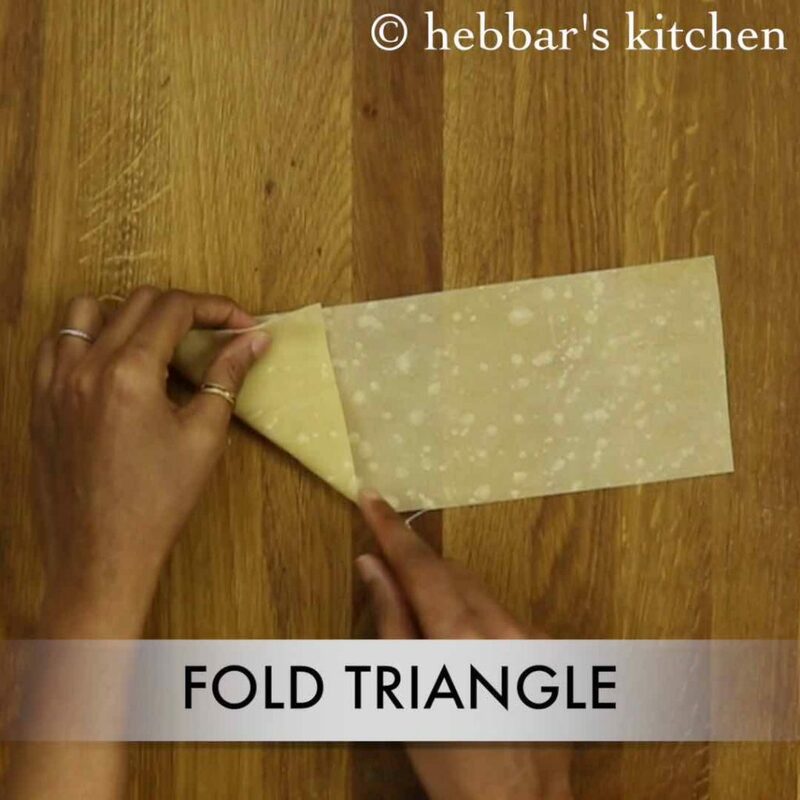 firstly, start folding the samosa sheet into triangle. further fold in total for 3 times. stuff the prepared stuffing as mush as possible. 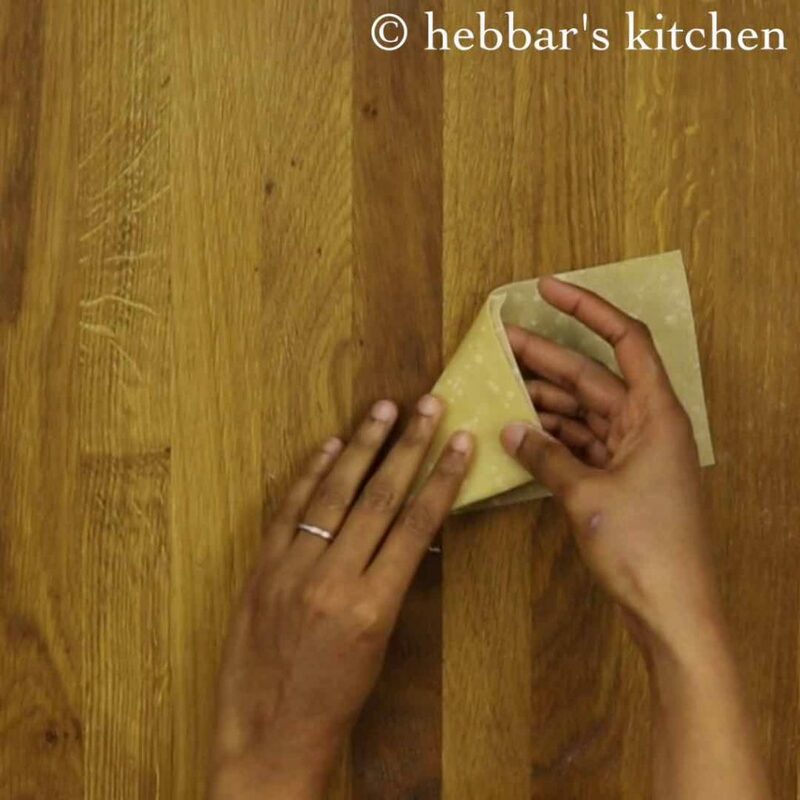 furthermore, with the help of maida paste, apply over the ends of samosa sheet. also fold the sheet to form a triangle. 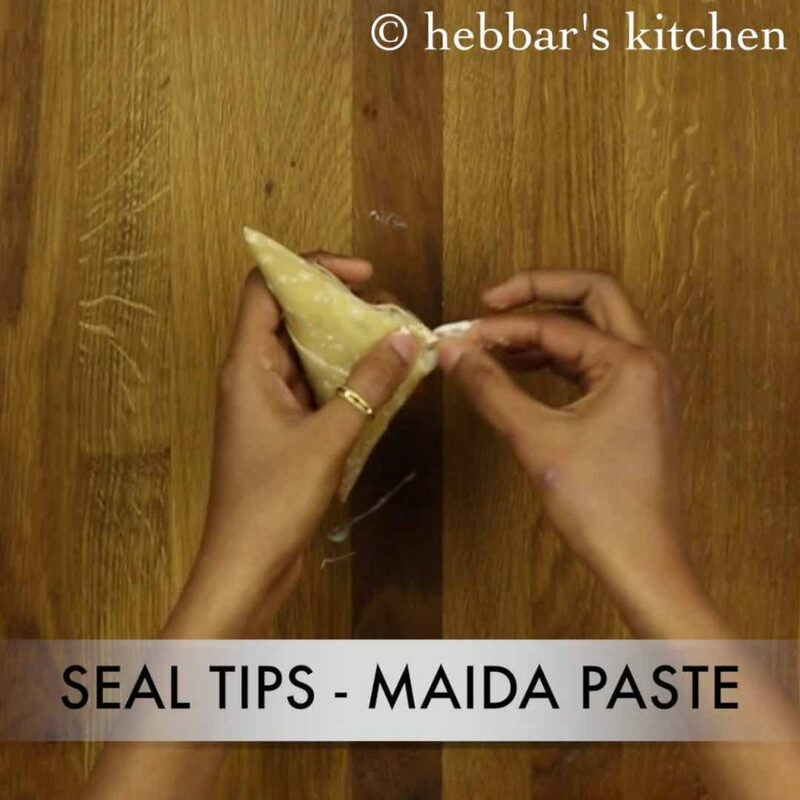 apply maida paste at the tips of cone to avoid oil seeping inside the stuffing. 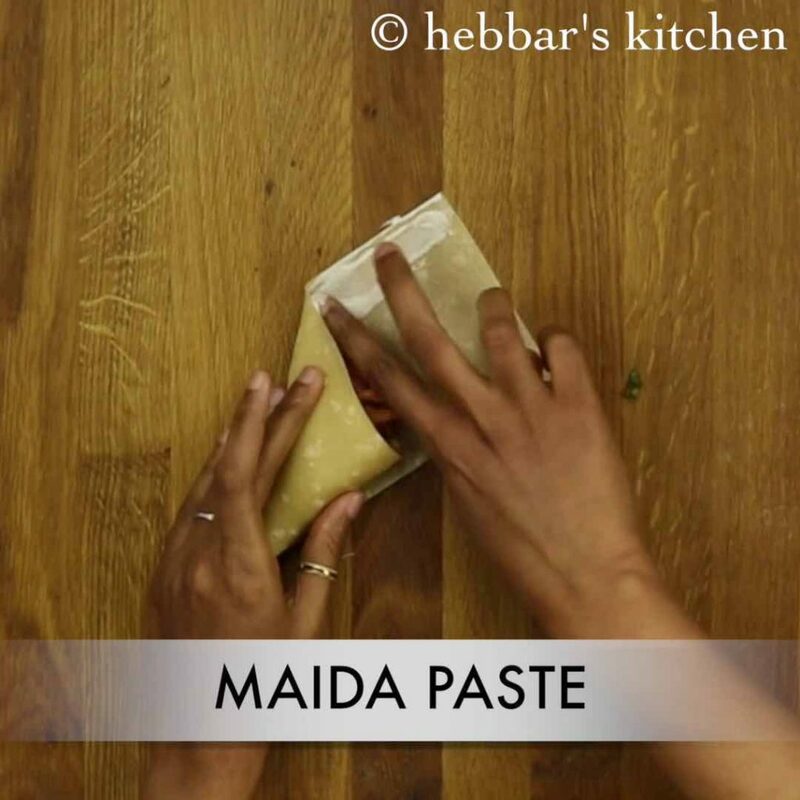 to prepare maida paste mix 2 tbsp of maida with 4 tbsp of water. further, deep fry into a medium hot oil. moreover, fry on both sides till they turn golden brown. make sure to fry on medium hot oil. also drain over a kitchen towel. finally, serve onion samosa with tomato sauce. 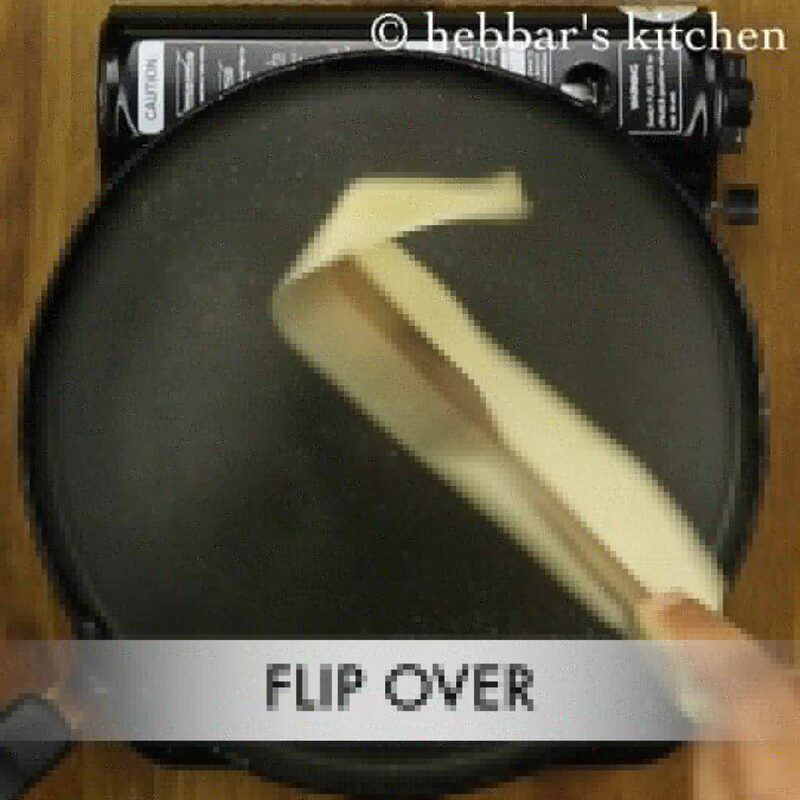 firstly, roll to a thin pastry sheet to get crunchy samosas. furthermore, add chillis to make samosa spicy and tasty. additionally, stuffings of your choice to make it more easy and tasty. 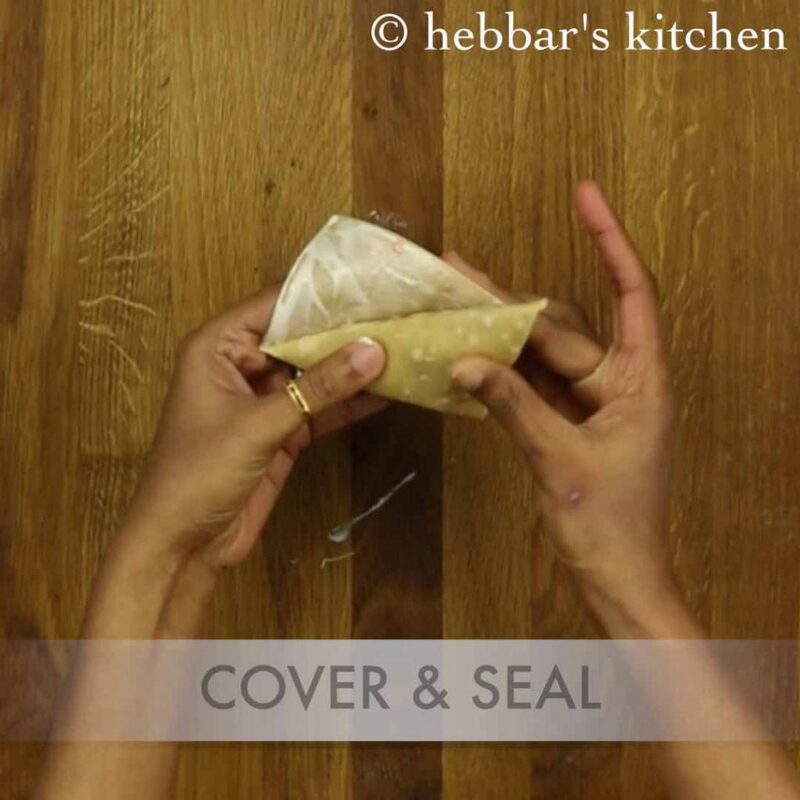 also use pastry sheets / patti samosa sheets instead of preparing it. finally, double fry onion samosa to make it more crunchy and golden in colour. 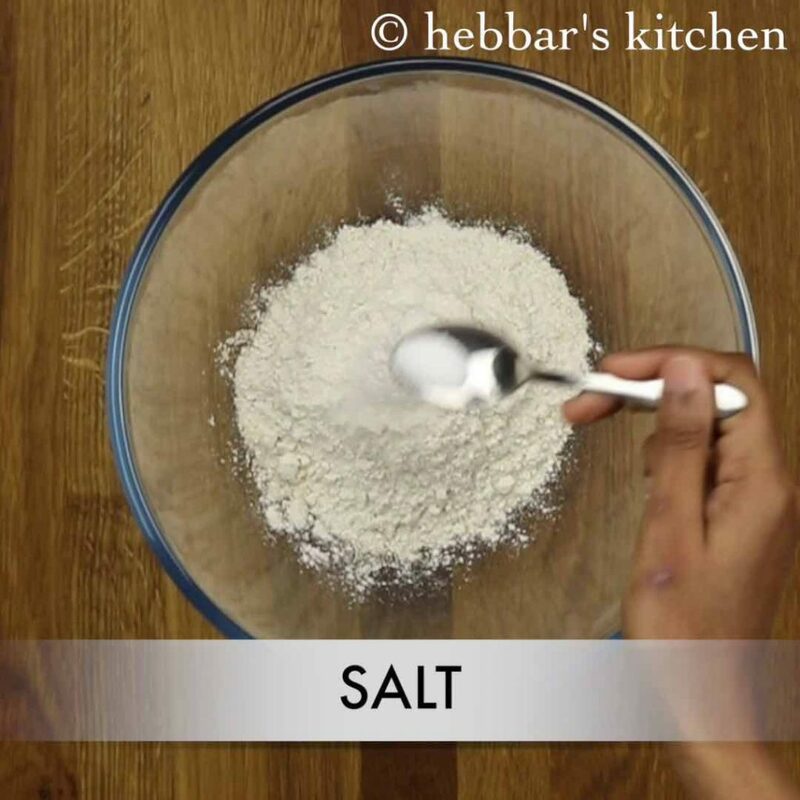 I love hebbar’s kitchen recipes. Very simple and very delicious. I suggested my friends also to try. Thank you so much for your efforts. The Best site in my opinion for millions of foodies like me. Hv tried many recipes and hv been appreciated by family and friends alike. Thank You I made the Kodbale and it came out well . Thank you so much for the wonderful recipe. I tried so many samosas recipe but never succeeded. This was a huge hit…Just one question though…..Can we make these as a batch and freeze them (without frying)? If yes, on the day of frying, do we need to thaw them first before putting them in the hot oil? 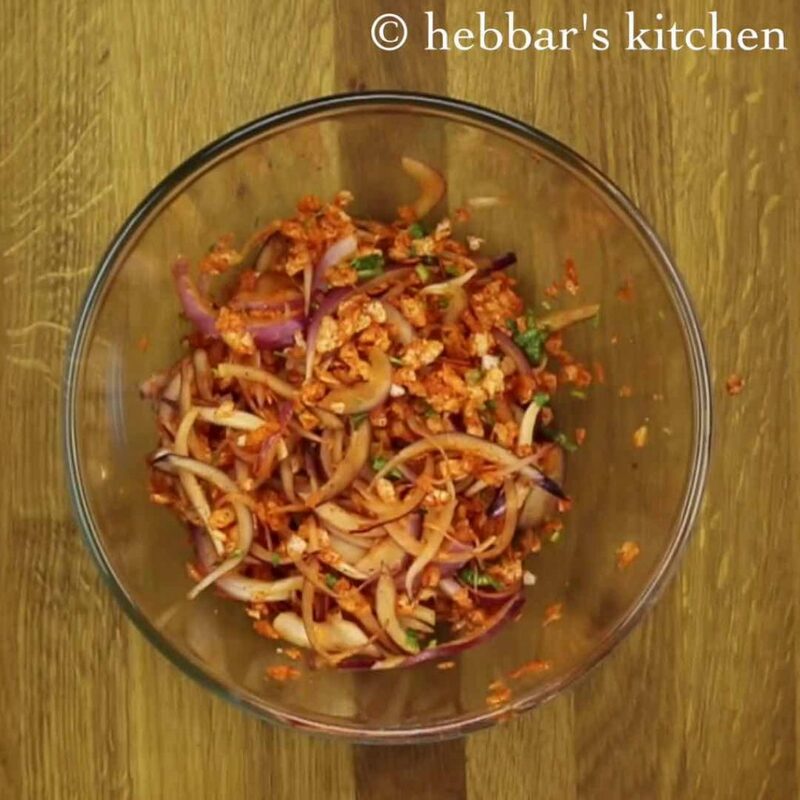 Hi Deepthi, glad you liked this recipe. to be honest I have not tried to freeze the sheets, but you should be able to do it. hi . i dont want to deep fry it and want to use filo pastry . can you tell at wht temp and for how long i can bake it . hello …nice recipe…thanks…just one query .. Poha is to be soaked or not for the purpose of filling? not required. 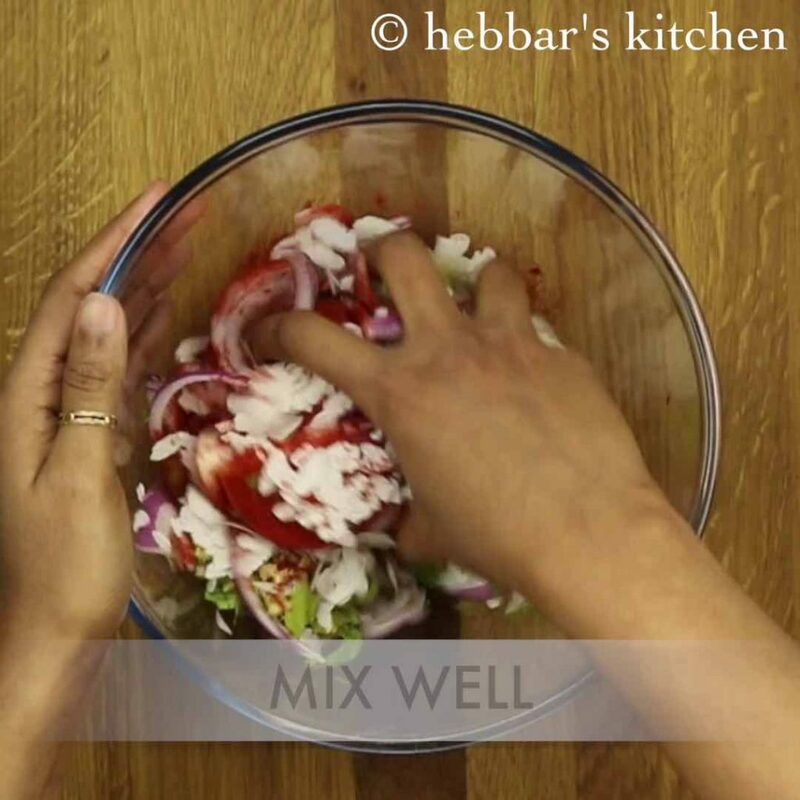 when you mix with onion, it would release its juice which is sufficient. Love all your recipes, have tried many of them. So easy and simple to follow.